WASHINGTON -- Rep. Steve King doubled down Monday on comments he made over the weekend in which he appeared to criticize foreigners and immigrants, drawing complaints of insensitivity on social media and from some of his Hill colleagues including from within his own party. 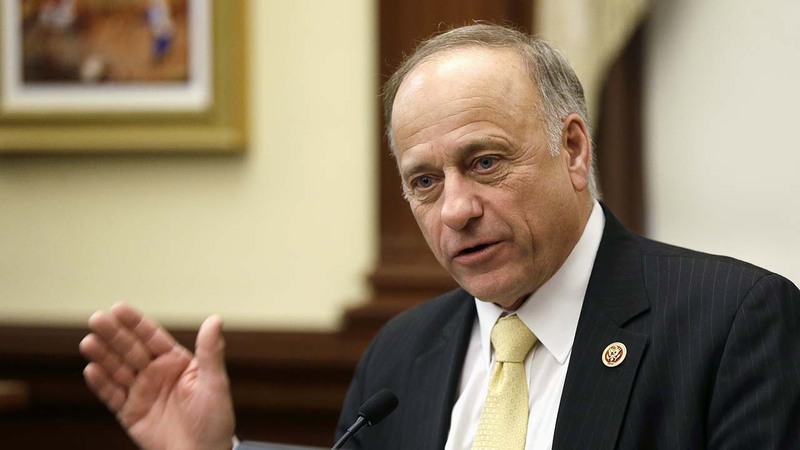 King, a prominent Iowa Republican and a vocal advocate against illegal immigration, tweeted Sunday, "We can't restore our civilization with somebody else's babies." Asked by CNN's Chris Cuomo on "New Day" to clarify his comments, King said he "meant exactly what I said." King said he'd like to see less of an emphasis on race in the future. "If you go down the road a few generations, or maybe centuries, with the inter-marriage, I'd like to see an America that is just so homogenous that we look a lot the same," he said. King, who was expressing support in his original tweet for far-right Dutch candidate Geert Wilders, predicted that "Europe will be entirely transformed within a half-century." King has long been concerned about the decline of "American culture," and said he merely wished to see immigrants better assimilate into the United States. Pressed whether he saw all Americans as equal, the Iowa congressman said their backgrounds mattered. "I'm a champion for Western civilization," King said, adding that all people do not contribute to American society equally. "They contribute differently to our culture and civilization." King said differences had nothing to do with their humanity, but their backgrounds: "It's the culture, not the blood. If you could go anywhere in the world and adopt these little babies and put them into households that were already assimilated into America, those babies will grow up as American as any other baby." House Speaker Paul Ryan, also a Republican, "clearly disagrees" with King's comments, a spokeswoman told reporters. "The speaker clearly disagrees and believes America's long history of inclusiveness is one of its great strengths," Ryan spokeswoman AshLee Strong said in a statement. White House Press Secretary Sean Spicer declined to weigh in on the comments when asked about them during the press briefing Monday. The new comments from King could invite a new round from scorn from liberals and immigrant groups. Rep. John Lewis, a Georgia Democrat and civil rights leader, quoted King's tweet, calling it "bigoted" and "racist." "This is bigoted & racist. It suggests there is one tradition & one appearance that all humanity should conform to," Lewis wrote. After his supportive statement for Wilders, Democratic Rep. Ted Lieu, who is Asian-American, tweeted a photo of his two children. "Dear Representative Steve King: These are my two babies. --Representative Ted Lieu," he said. California Democratic Rep. Judy Chu wrote: "Steve King is wrong: Civilization is threatened by racism & xenophobia that divide us & encourage violence. I condemn hate & welcome all,"
Several Republicans also joined in. "America is a nation of immigrants. The sentiment expressed by Steve King doesn't reflect our shared history or values," 2016 presidential candidate Jeb Bush wrote. One notable rebuke came from a fellow Republican congressman, Carlos Curbelo, who is Hispanic. ". @SteveKingIA What exactly do you mean? Do I qualify as 'somebody else's baby?' #concernedGOPcolleague," he tweeted. And Rep. Ileana Ros-Lehtinen, a Florida Republican, tweeted: "Get a clue, @SteveKingIA. Diversity is our strength. All looking alike is such a waste. A travesty. I wanna be me. All others are taken."